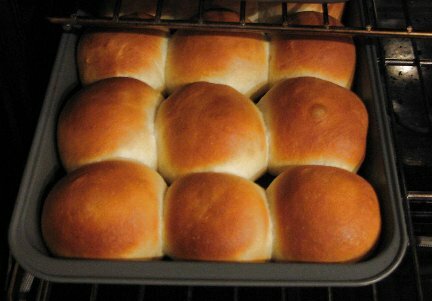 No, I’m not talking about dinner rolls though those rolls do look really good. This post is about horizontal convective rolls! These “rolls” in the atmosphere aren’t unusual – we see them all the time! 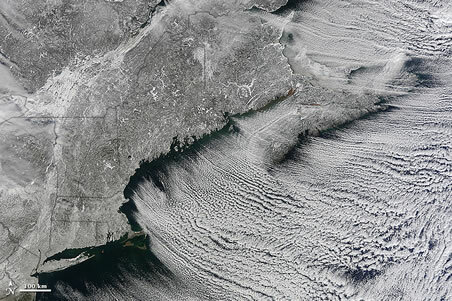 On satellite images you can see these rolls that manifest themselves as cloud streets. Clouds align themselves parallel to the wind in the well-mixed layer of the atmosphere near the ground known as the boundary layer. Convection in the mixed layer occurs and through a rather complex process convective rolls develop that produce areas of rising and sinking air in parallel bands. This afternoon skies were almost entirely clear in Connecticut. Where are the rolls here???? While the atmosphere was too try to support cumulus clouds (and cloud streets) the convection currents (thermals) in the atmosphere were still rolling on (pardon the pun) behind a cold front that passed this morning. Echoes showed up all afternoon on radar that were aligned parallel to the mean wind in the boundary layer much like you’d see with clouds on satellite. Dual pol (in this case correlation coefficient) confirms to us that these echoes are not sprinkles but are non-meteorological in nature. 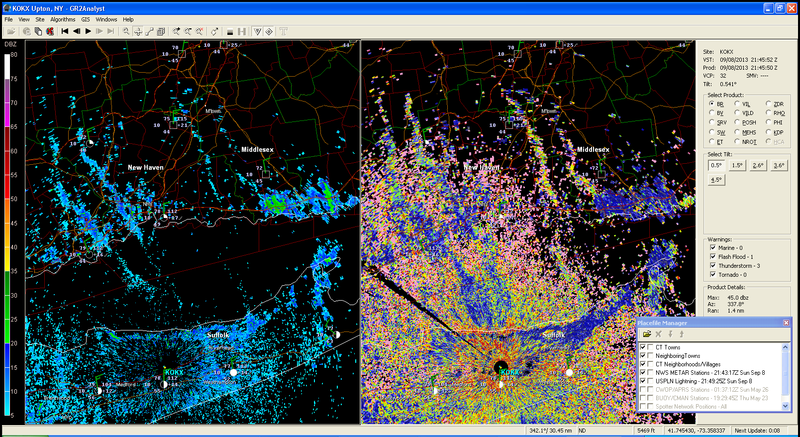 Likely, in this case, bugs that are being picked up by the convection currents and lofted in the air. 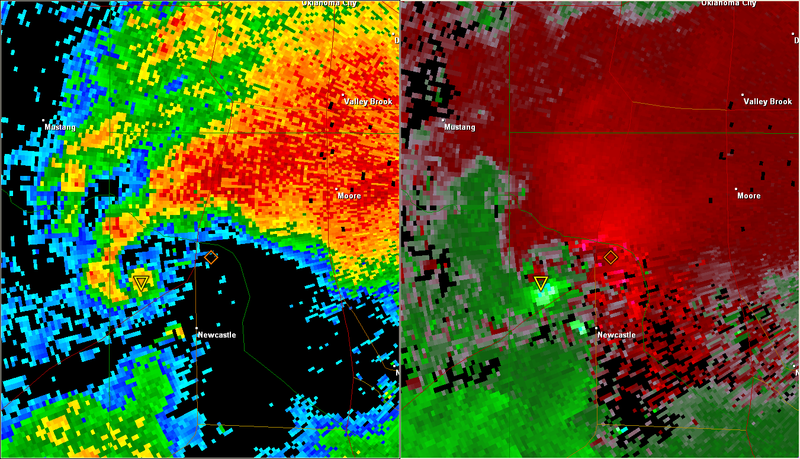 Radar showed this feature several thousand feet above the ground. I zoomed the radar in a bit and you can actually see two cool things. One feature is the aforementioned “bug-streets” over the Naugatuck and Housatonic River valleys and the other feature being tons and tons of birds over Westbrook, Old Saybrook, Old Lyme and East Lyme. 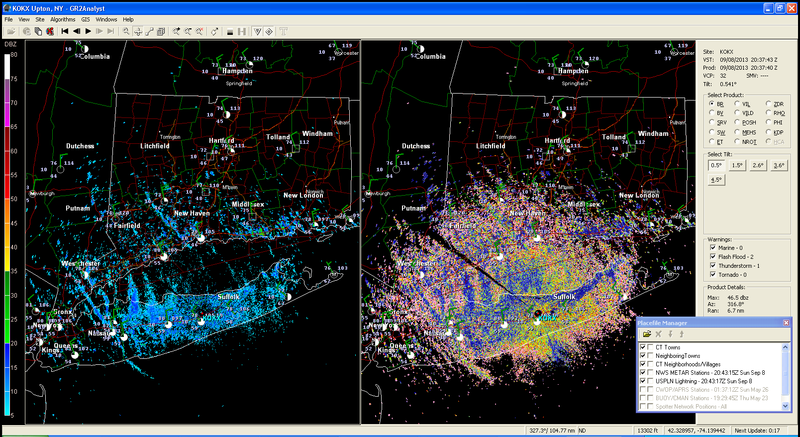 These birds are present on radar virtually daily this time of year prior to sunset (blog post on the Connecticut River tree swallows is here). Weather is always cool – but I thought this was particularly neat. I’ve also managed to coin a new term – “bug streets”. Let’s see if it catches on. The first reports of damage, deaths and injuries are beginning to trickle in from today’s monster tornado that moved through Moore, Oklahoma. The staggering numbers and images are hard to comprehend. Just like after Katrina, Joplin, and Tuscaloosa we’re reminded of nature’s power, fury, and cruel indifference. Throughout my life the weather has fascinated me. Whether it’s a Tornado, blizzard, or nor’easter for as long as I can remember I’ve found myself glued to a TV or window or standing outside in any kind of storm. It’s days like today that we’re reminded that nature’s incredible power can change lives and towns in an instant. Forecasts are better. Warnings are better. Sometimes no matter how good the warning or forecast or preparation or communication some storms are impossible to survive. 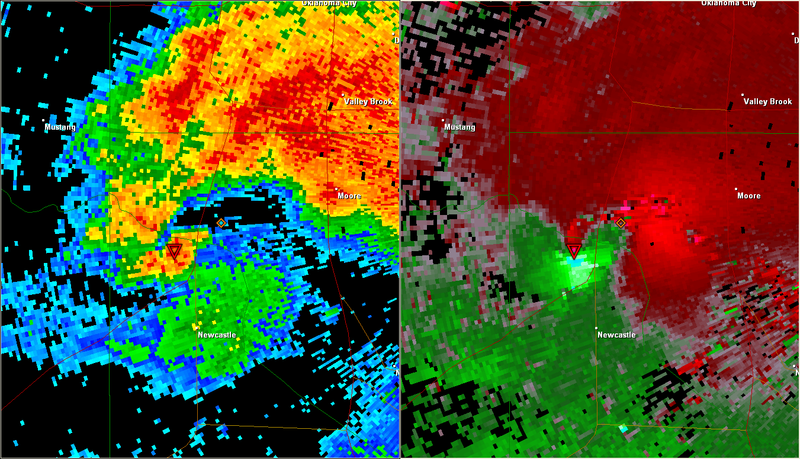 Moore, Oklahoma is no stranger to violent tornadoes. The F5 Bridge Creek-Moore tornado on May 3, 1999 was one of the most documented, photographed, and well forecast tornadoes in history. Parts of Moore were simply swept away. On May 20, 2013 history found a way of repeating itself. The 1999 tornado was tracked live by local TV stations via helicopter much like this storm. 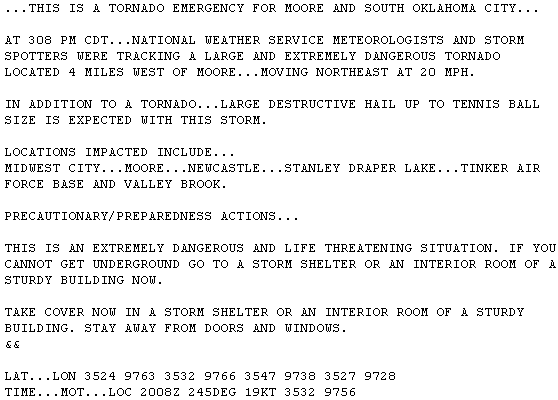 The National Weather Service in Norman issued the first ever “Tornado Emergency” for Moore in 1999 just like they did today. 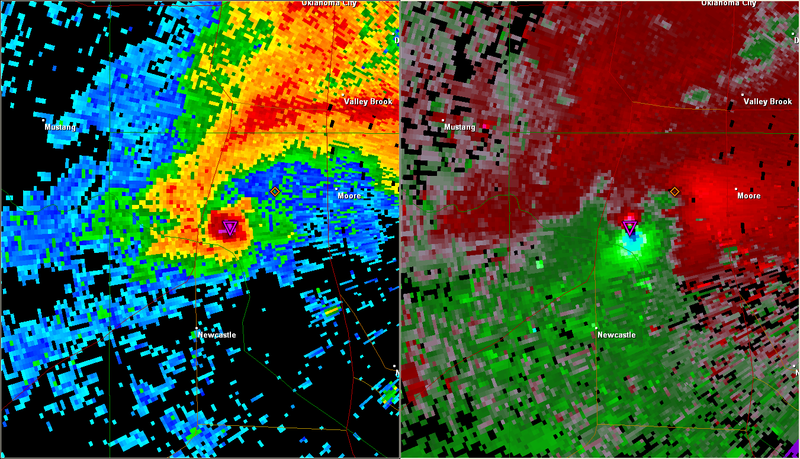 When a tornado become violent (EF-4/EF-5) surviving a direct hit, even if you take proper precautions, becomes difficult. 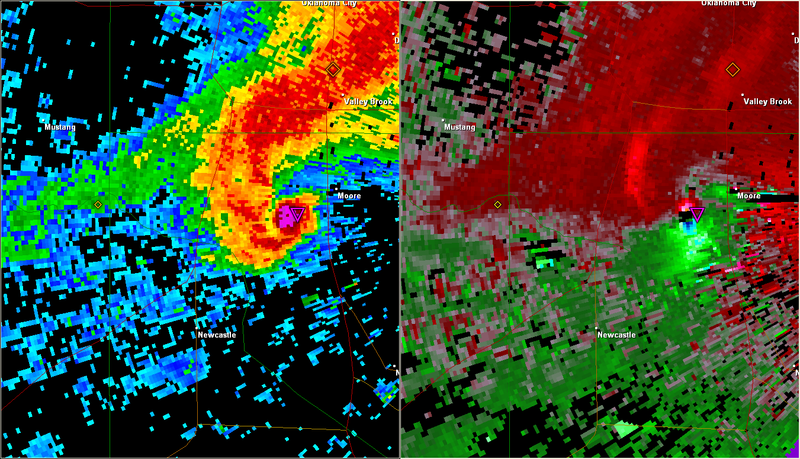 This is how the radar looked through the storm’s evolution from Newcastle to Southwest Oklahoma City to Moore. 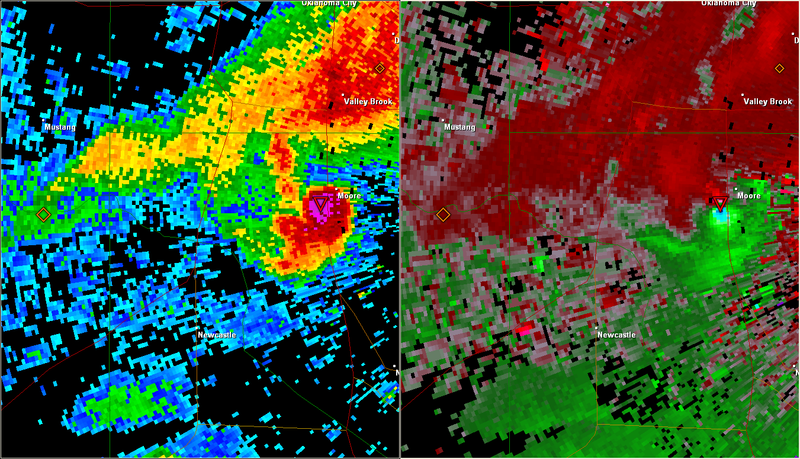 On radar you can see the monstrously large debris ball that gets larger and larger as more homes are chewed up and lofted along the tornado’s path. This tornado will undoubtedly join the list of historic U.S. tornadoes – a list that has been growing too quickly in the last few years. This is pretty cool stuff for a weather geek. Take a look at the echoes racing west across Long island Sound. That is a backdoor cold front with a strong wind shift behind it and rapid temperature drop. The wind at Bridgeport is north at 15 mph and the temperature is 78º while the wind in Groton is southeast gusting to 32 mph and the temperature is 62º! There’s another front on there and that a sea breeze front that has developed basically over New Haven Harbor and extends northeast into North Branford, Durham, and Killingworth with southerly winds behind it and northerly winds ahead of it. One of the reasons the backdoor front has taken on a “C” shape is that less friction over the water has allowed the winds to be faster over the Sound than over land which is effectively bulging the front west in the water. The echoes to the west over New York are showers falling from a mid level cloud deck that are evaporating before reaching the ground. Morning hike in the dunes of the Sahara Desert. Erg Chigaga is about 25 miles north of the Morocco/Algeria border and is truly breathtaking. The dust devils were fun yesterday but the evening sand storm not so much! On oasis in the beautiful Drâa Valley on near Zagora. Weekend Storm – Will it Snow?